For decades real estate professionals have been pounding home the phrase that opening a new business is all about… Location Location Location. This phrase or concept dates back to as early as 1926 or even earlier. The internet has made it commonplace for businesses to reach customers from around the world and with the advent of social media digital marketing is all the rage. When designing a digital marketing plan or simply starting a new business, yes it’s that fundamental, every business owner or manager should consider several factors when deciding what and when to launch a campaign. There are several types of marketing campaigns to consider, but here we are talking about digital marketing and more specifically content marketing. Every post every picture for that matter every word that is said about a business or product is now an opportunity to introduce oneself or said product to the marketplace. Customers are not only right around the corner, but now sit just a click away. I’m not going to bore with details and statistics of why ecommerce is so important and explain the complexities of what makes for a good website, if you’ve made it this far you already understand these things. What we are going to discuss is that in the digital age location matters, just not that much. Online marketing programs are all about CONTENT, CONTENT, CONTENT, and did I mention CONTENT. So where are you getting your digital content from? Blogs are and excellent source to increase the number of mentions and backlinks to your respective address and in many cases this is the primary driver for original content most businesses use. Blogs must be original and always include a message that speaks directly to the audience you wish to show up in your show room. Blogs are also a great opportunity to share accomplishments as well as community spirit/service activities. This is the best place to show case your business to the ever so discriminating public. In short Blogs are your way of describing you. Press Releases are much like blogs in that they provide the reader or prospective customer with a summary about you and/or your business. The biggest difference here is that you don’t have control over the message. Reviews/Online Reputation is all about what others are saying about you. It’s pretty simple to maintain a positive online reputation, simply treat customers correctly and deliver on promises as stated when stated. There are countless numbers of online reputation companies promising to “fix” businesses reputation. Be wary of anyone that says they can get you reviews or have negative words that are being said about you removed from one site or another. Simple fact is you are who your customers say you are and in most cases perhaps even better. In general 95% plus of the people businesses serve would return to that business or even refer a friend, but statistics show that less than 3% share that information in a public forum. What about the other 5% that for one reason or another were not satisfied?? You guessed and overwhelming number of those tell everyone. You need to find a program that will capture more of the 95%ers. Social Media (Facebook, Twitter, Pinterest, etc.) could take up an entire article, and there are plenty already out there, on how to utilize it for ecommerce but here it’s all about content. Every post is an opportunity to add content about your business. Unfortunately businesses fall into the trap of posting useless information just to fill a page every day. Posting services sell or shall I say prey on managers and owners selling them on their “need” to have daily posts. Here’s the secret… If it doesn’t point directly back to your businesses internet space then it is just filler. There is content everywhere within the everyday activities of each organization that utilize third parties to create their social footprint. What if each employee had the ability to create effective content that was a direct reflection of that organization and could show honest and current interactions with customers. That company would now have an edge that no third party provider could provide. 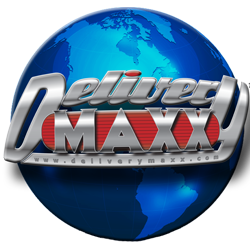 For additional information about the company or its products and services, visit www.deliverymaxx.com or contact (888) 936-6299. In the chart you can see that content marketing has actually surpassed search engine optimization (SEO) and pay per click (PPC) in search popularity. In fact, of the big four digital mediums, it trails only social media marketing in current interest.